Feeling great in your own skin not only boosts self-esteem and confidence—it has the potential to change your life for the better, forever. In my professional life, I have been extremely lucky to see this life-changing experience firsthand. When my clients discover a new and healthy perception of themselves after receiving dermatological treatment, the impact lights up their life, along with the lives of all those around them. It creates an outlook on life where they can know themselves as they have always imagined—healthy, whole, and joyful. In working with people of all ages and backgrounds, I have come to discover that skin care means different things to different people, which is why my interests cover a range of specialties—including acne prevention, skin cancer detection, and general dermatology. 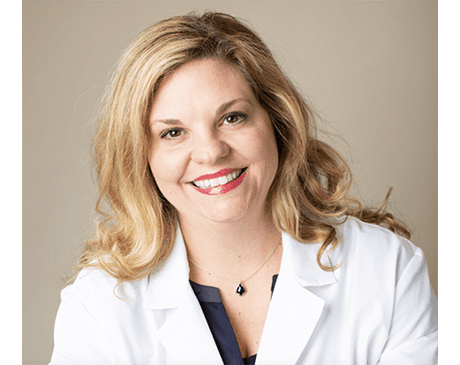 I am proud to be a certified physician assistant and I have had the opportunity to pursue my passion in the field of healthcare (specifical dermatology) for over 14 years. I am a fellow of the Society of Dermatology Physician Assistants (SDPA) and a member of the American Academy of Physician Assistants (AAPA). My educational background includes a BA in Psychology from the University of Oklahoma and a Master’s degree in Health Science/Physician Assistance from the University of Oklahoma Health Sciences Center. As a mother of two sets of twins, I greatly enjoy spending time with my husband and children, going to horse races, traveling, reading, exercising, and going to church. As an Oklahoma native, the personal and professional life I have established here in my home state brings me the greatest joy and fulfillment.